At the Law Offices of Jacob J. Sapochnick we work closely with clients to address their specialized immigration needs, making their success our number one priority. Many of our clients have experienced immigration issues that could have easily been eliminated with the help of an experienced immigration attorney. Such was the case when our client, we will call him Ernesto, visited our San Diego office to discuss his naturalization case that had gone from bad to worse. Ernesto had gained permanent residence through marriage to his U.S. Citizen spouse and was ready to apply for naturalization, having remained married to his spouse for at least 3 years before filing his application. Ernesto’s first problem was that he had relied on the assistance of a foreign attorney to prepare and file his application—an attorney who was not licensed to practice law in the United States and was not well versed in immigration law. 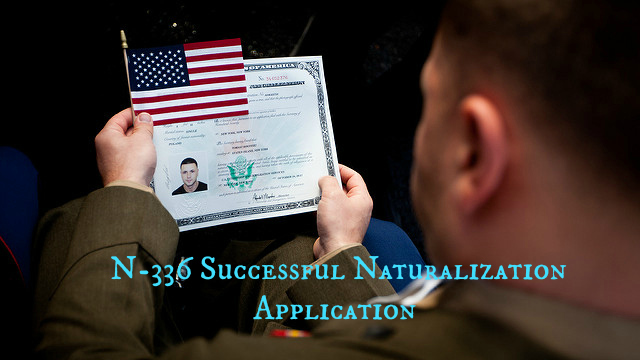 The attorney had filed his naturalization application without carefully assessing his situation and pin pointing any potential issues he might experience. As a result of his foreign attorney’s incompetence, Ernesto’s application for naturalization was denied and his appeal—also filed by the foreign attorney– was also denied, leaving Ernesto in a very difficult position. In the Notice of Intent to Deny Ernesto had received USCIS explained the reasons why he had been denied. The main issue was that USCIS was not convinced that he entered his marriage “in good” faith. Furthermore, USCIS argued that Ernesto had failed to present documented evidence proving that he had lived in marital union with his spouse for the 3 years preceding his examination. Due to the fact that USCIS had doubts about the legitimacy of the marital union, they conducted a home inspection at a time that Ernesto was not at his home. During the inspection, the field officers searched the bedroom he shared with his wife and discovered that his clothing was not present. Upon further examination, we found that the officers that conducted the home inspection failed to check the other bedrooms in the home and did not see that his clothing was located in an adjacent bedroom, and not in the room that he shared with his spouse. Ernesto had perfectly legitimate reasons for why he had not been at the home at the time of the inspection, and why his clothing was located in a different room of the house. Ernesto was a businessman and was typically out of town on business trips. On the particular day that the home inspection was conducted, he was out of town on a day business trip. Ernesto had also been traveling to the East Coast frequently for 4-5 months to pursue potential business investments and proposals, leaving his wife behind. Ernesto had been toying with the idea of starting a business on the East Coast, but was not certain if the plans would come to fruition, for that reason his wife had stayed behind across the country while he weighed his options. As a businessman, Ernesto maintained a non-traditional schedule that required him to work long hours, in addition to being apart from his wife. Due to the differences between his schedule and his wife’s schedule he decided to move his clothing to another bedroom so that he would not disturb his wife while he was preparing for his jam packed business schedule. In the end Ernesto’s business plans in the East Coast fell through and he returned to the state of California where he lived with his wife.